As I prepare to launch my new book Drama Free, I asked my friend, Shelley Hendrix to share what was on her heart when it comes to drama. Whenever we’re riddled with guilt or bitterness or regret, we remain shackled in chains that have already been unlocked for us. But it has always been and will always be our choice to remain in those shackles or to cast them off and run in the freedom purchased us by the forgiveness of the God who forgave us long before we could have even begun to wonder how we could make things right with Him. He set things right. He initiated the forgiveness of all of our wrongs toward Him. And He is the One who makes us able to offer that kind of forgiveness to others, whether they realize they need it or not. 1. What is my motive in confronting this other person/group? If your answer reveals a desire for revenge, to put the other person in his/her place, or something of that flavor, please wait until your emotions have calmed down enough to handle the confrontation with respect for the other person. 2. Am I ready to accept that the other person may not respond the way I would prefer? Take the time to release your expectations and desires to your heavenly Father. Going into the confrontation with an agenda can put both you and the other person on the defensive if/when things don’t go your way. 3. Is this safe? Not to be melodramatic, but the truth is that some confrontations are unwise because the emotions involved can escalate in some situations putting one or both people at risk for harm—either verbally or physically. If it isn’t safe, don’t confront (or don’t go it alone). Common sense applies here. 4. What do I hope to gain? If you recognize that the importance is that your voice be heard, and not that the other person respond the way you desire, then you are probably ready to confront. 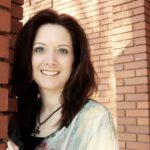 Shelley Hendrix is a wife, mother, Bible teacher, speaker, author, television talk show host and the Founder of Church 4 Chicks. This blog post is an excerpt from her book, Why Can’t We Just Get Along? Six Effective Skills for Dealing with Difficult People, published by Harvest House Publishers. For more on this book, along with a sneak peek and online ordering options, visit: http://harvesthousepublishers.com/book/why-cant-we-just-get-along-2013/. A Video Moment with Cindi: Why Not Pray Specifically? Will you allow these words to change your life?